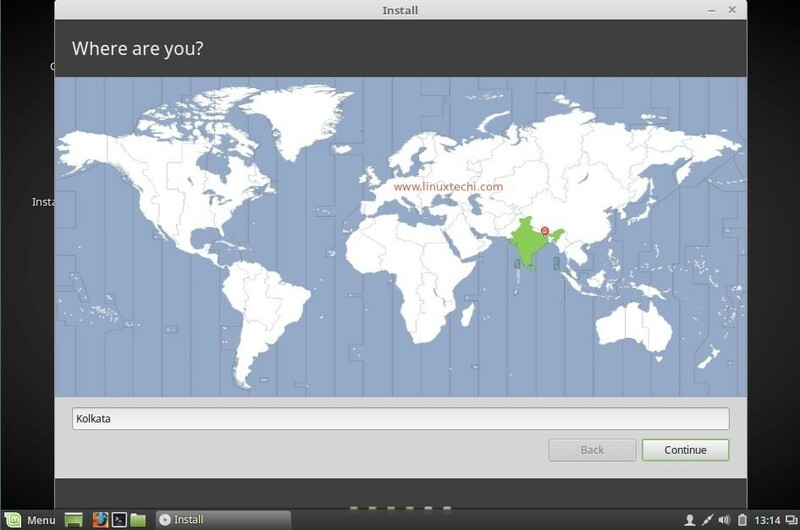 Introduction of X-Apps which will allow users to use applications which are based on traditional GTK desktop. Xreader – PDF and document viewer software. 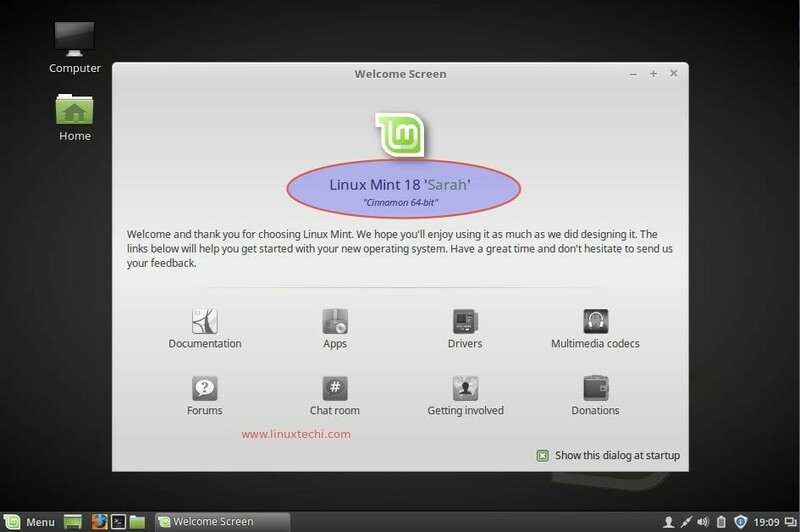 In this article we will walk through “Linux Mint 18 Cinnamon” installation steps along with the screen shots. 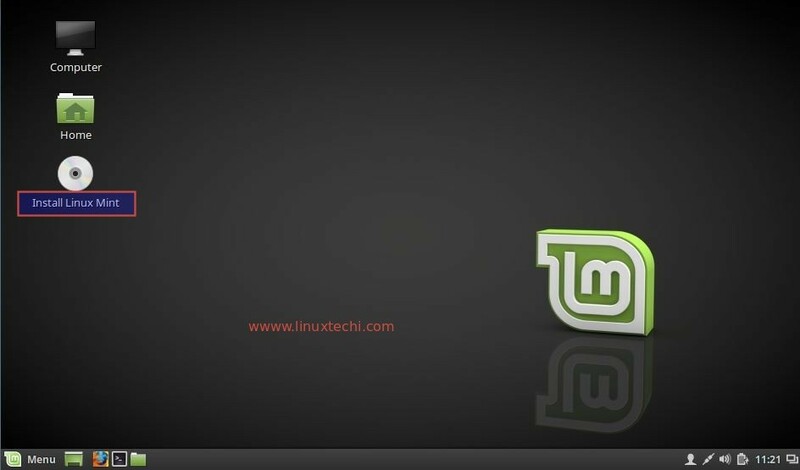 Step:1 Download Linux Mint 18 Cinnamon ISO file. 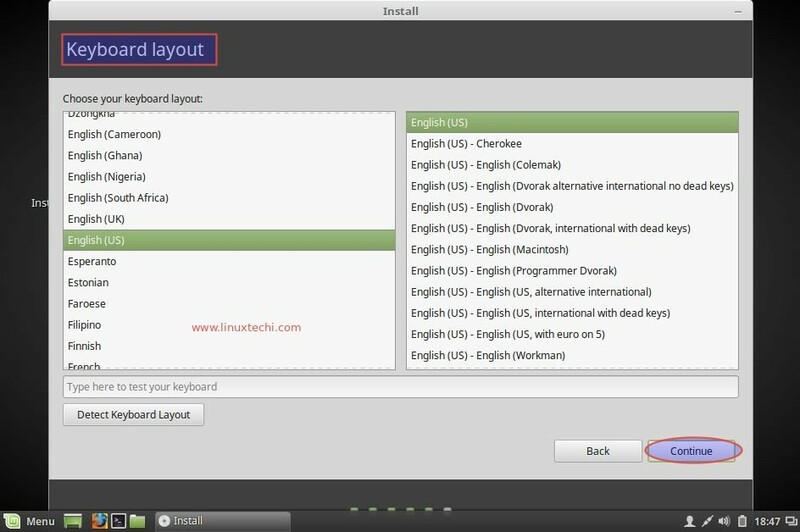 Select the language which will be used during the installation. 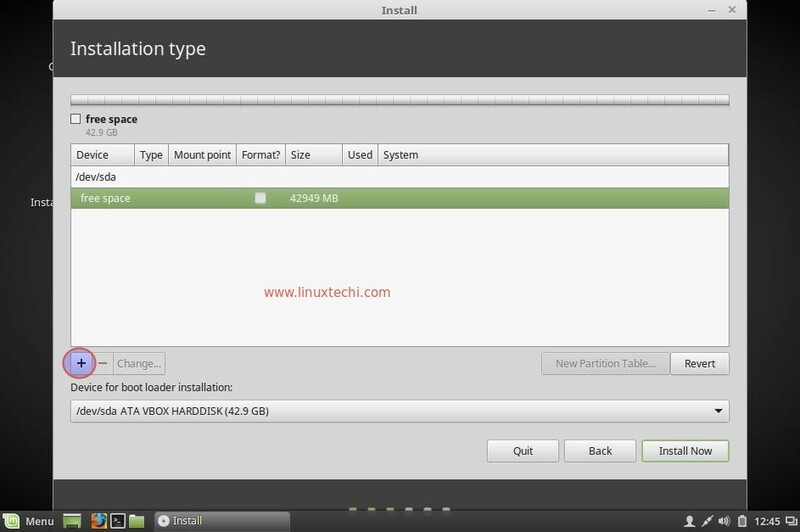 Step:4 Install third party software like Multimedia, flash and Wi-Fi Drivers. 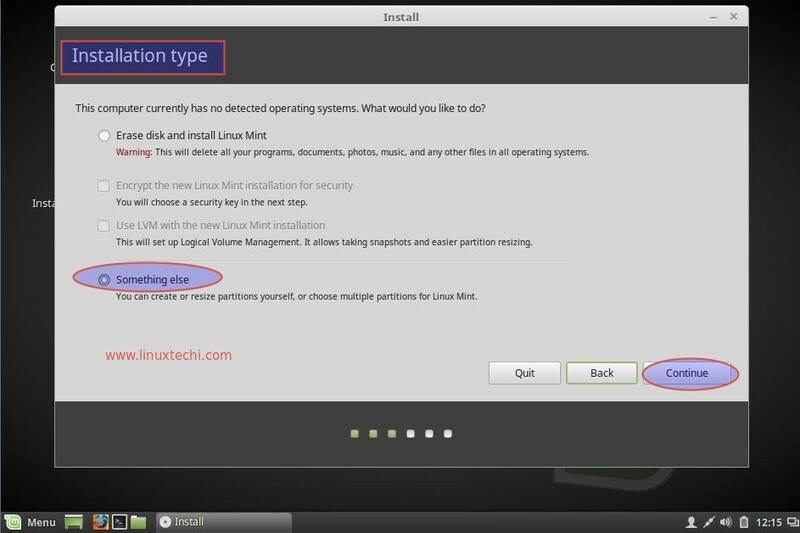 In case your system is connected to Internet then you should select option to install third party software. 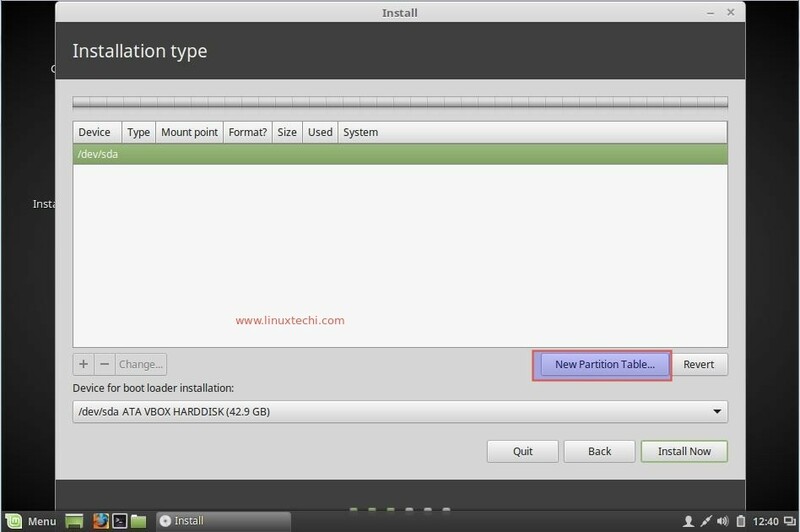 If you want to encrypt the disk during installation and want LVM based partitions then select second and third option. 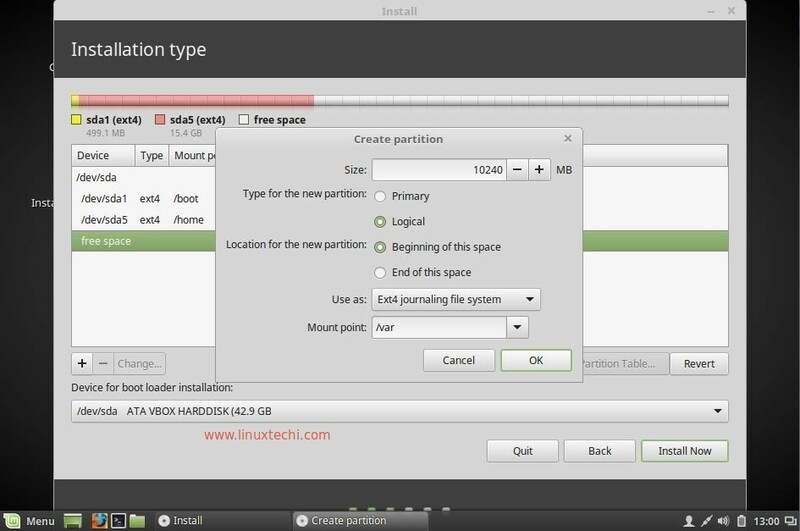 If you want to create your own customize partition scheme, then select the last option “Something else”. In this tutorial i will be creating my own customize partition scheme. 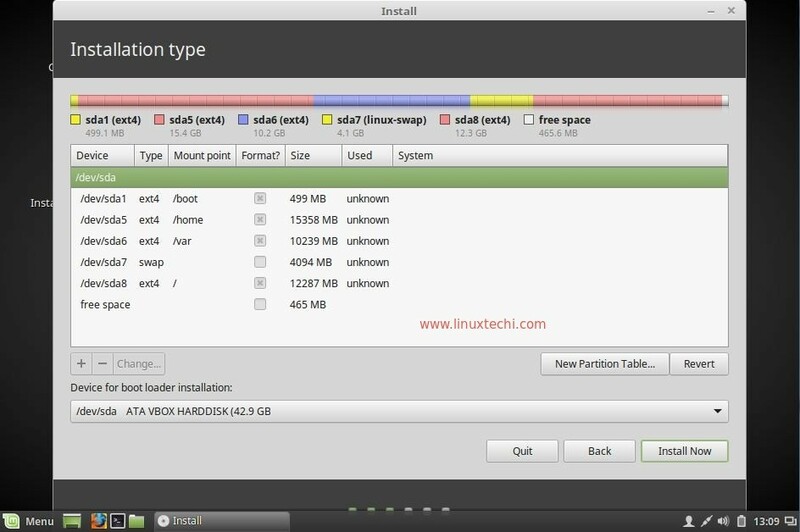 Step:6 Create Customize Partition table as per disk size. 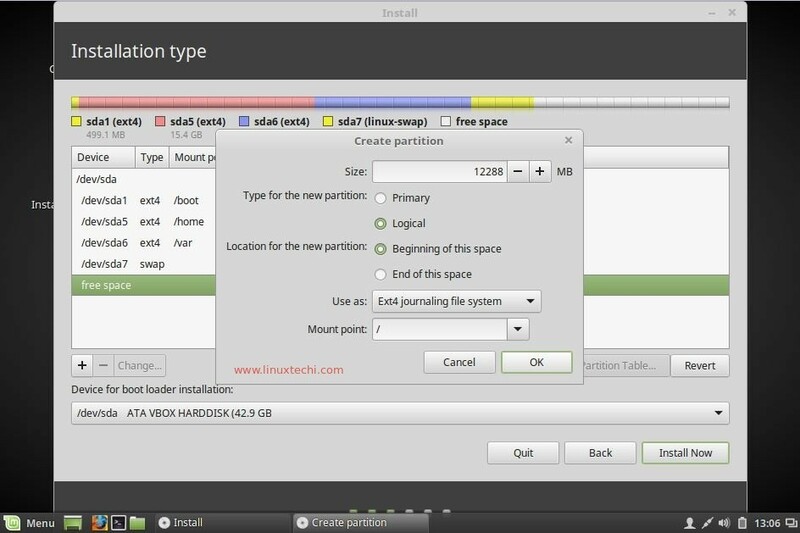 In my case I have around 42 GB disk space for the OS installation and will create following partitions. 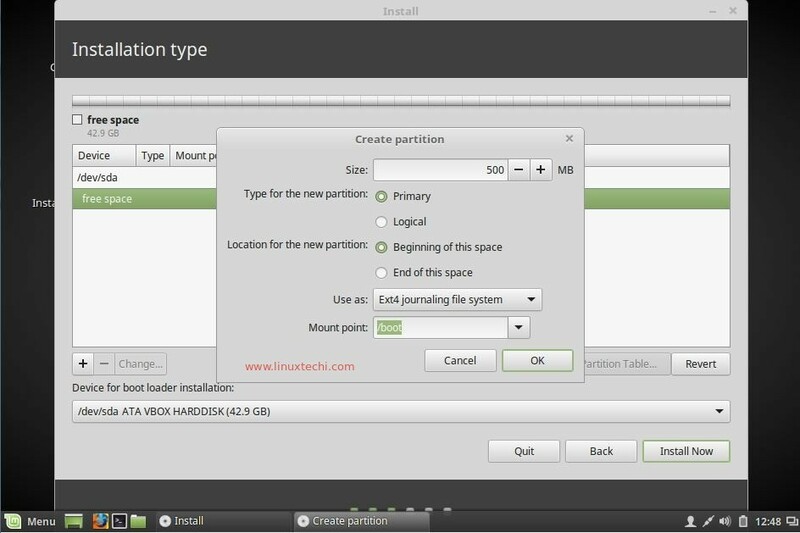 Select the Disk and click on plus symbol “+” to start creating partitions. Step:7 Select the Location as per your setup. 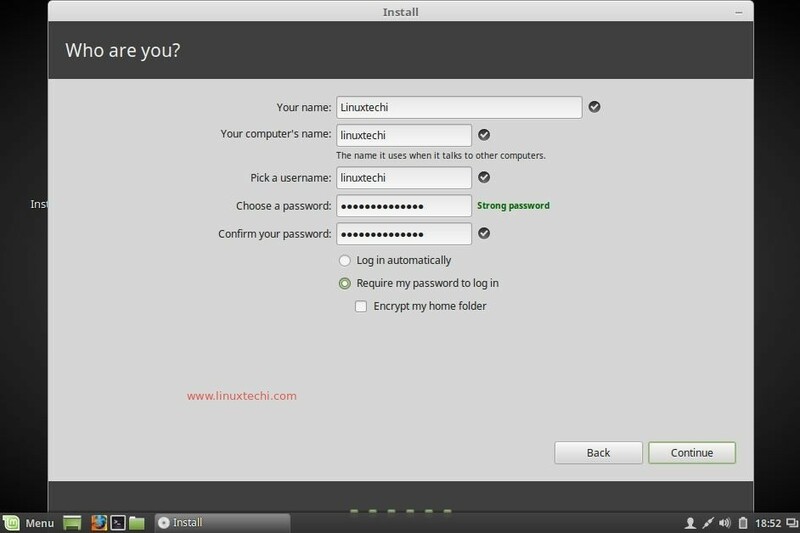 Step:9 Specify the User Name and Host name for your system. Mentioned the host name for your machine and user name and its password. 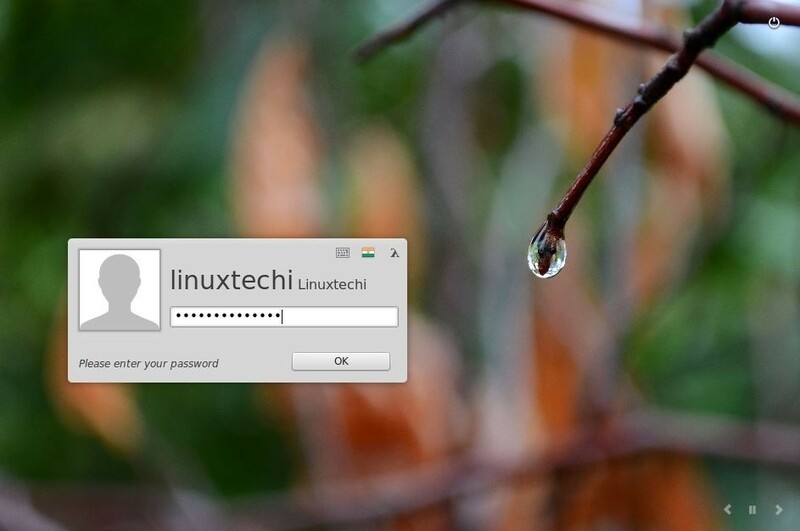 We will be using this user name to login to the system after the installation. Click on continue to start the installation. 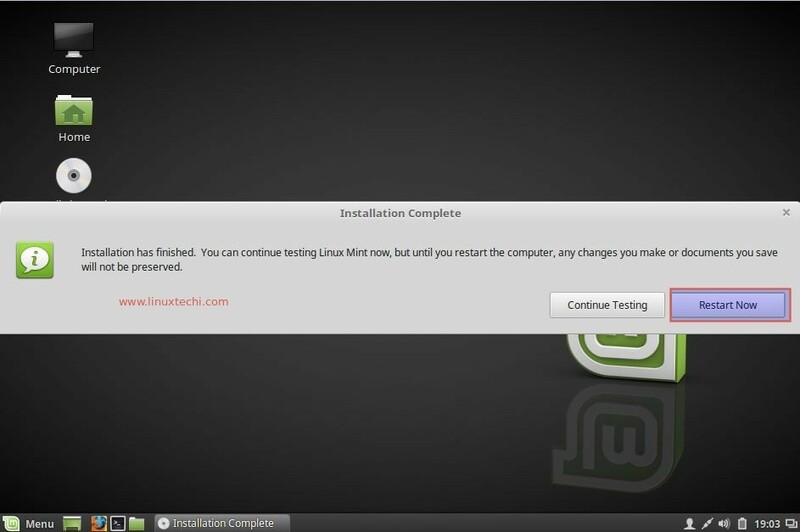 Step:10 Linux Mint 18 Installation is in progress. As we can see below that Installation is in progress. 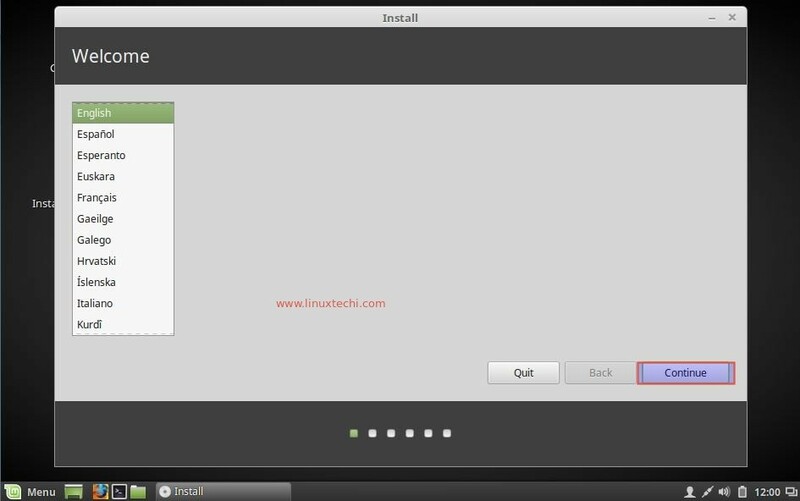 Installer will prompt us to restart the system once the installation is completed. 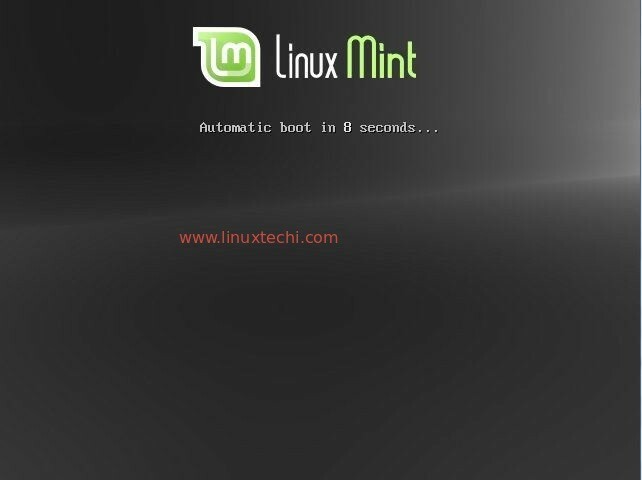 When starting installation of Mint 18 (the same happens with Ubuntu 16.04) the screen remains black, the USB disk with distributive is working 1-2 minutes (the light flashes) and then is waiting for some my command. My graphics card is Intel Xeon E3-1200 v2/3rd Gen Core processor Graphics Controller. Display is connected to HDMI. The older version (Mint 17.3) and some other older systems were installed without problems. 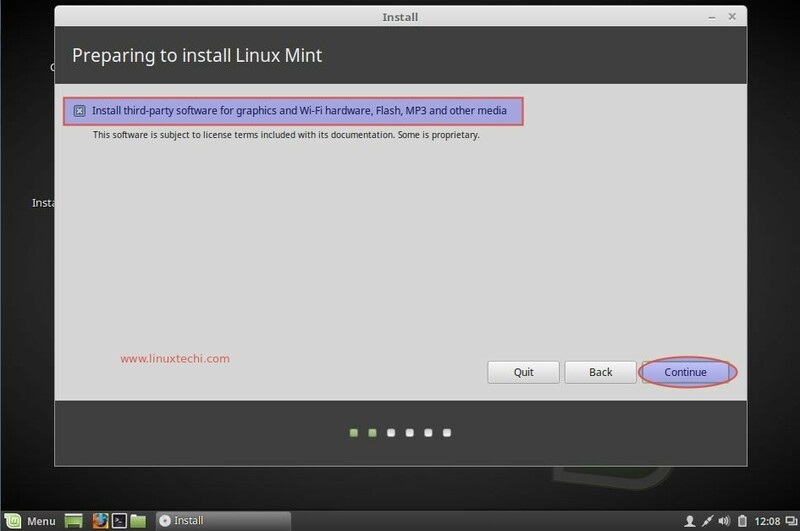 What happened with Mint 18 ? 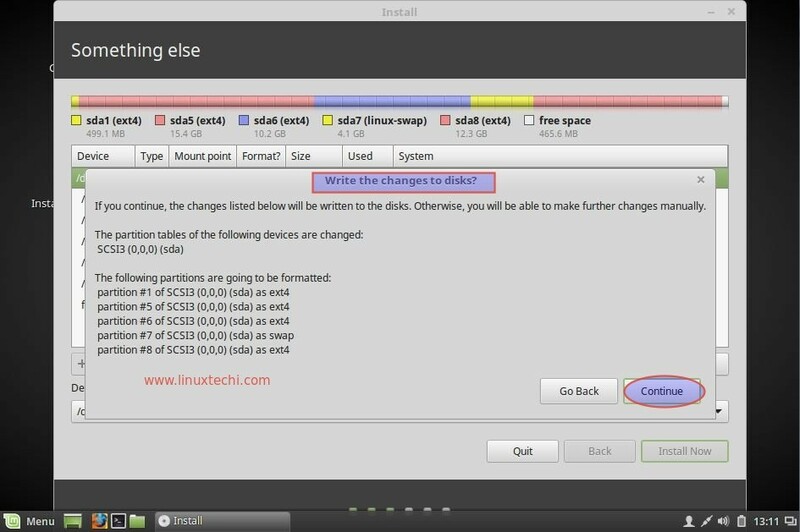 Is there any way to executer text mode installation ? I assume you press ‘OK’ each time when setting the several partitions, and not only at the beginning and end? Thanks! What happens if I choose for the software to create the ‘default partitions’?…My laptop is a Lenovo Thinkpad T500, and I wonder if the “Thinkvantage Utilities” could be erased this way….